Tomorrow marks one year since we took the first step to adopt from foster care. When we started this journey, we never imagined that it would take so long. We assumed we'd have our child home by summertime. The literature given to us at our first training said that it typically takes 3-6 months to be approved. It's been a year. At times I get frustrated, at times I get overwhelmed with sadness, and at times I want to give up. 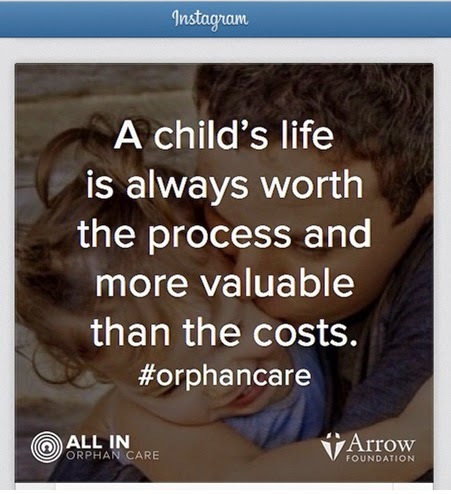 "A child's life is always worth the process and is more valuable than the costs." What a timely reminder to me that my child, all of these children, they are worth the process. No matter how long, and ridiculous, and unfair the process, my child is worth it.